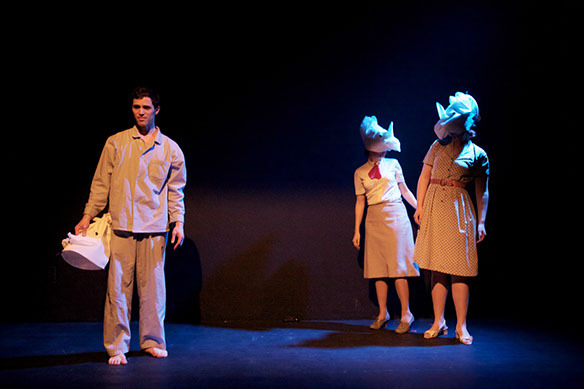 Devised work produced at Boxcar Theatre. Directed by Evren Odcikin, devised by the company: Erin Gilley, El Beh, Allison Combs, Ross Pasquale. Photos by Peter Liu.